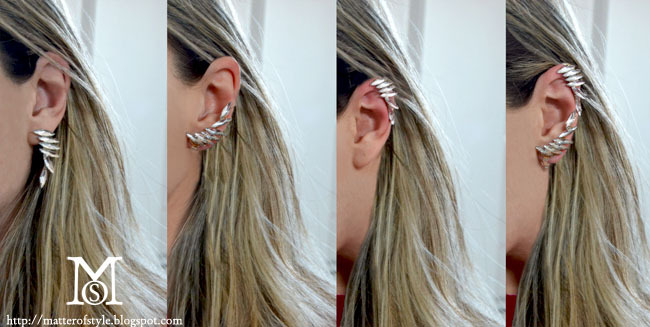 From earrings (on the left) - to ear cuffs with 3 ways to wear them! In the last few years we saw ear cuffs getting more popular. They offer the chance to decorate the whole ear. 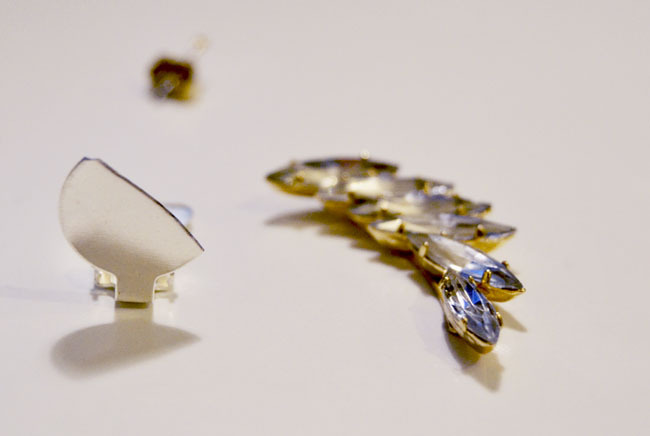 This shape requires new solutions to fasten the earring to the ear. It can be anchored behind the ear or with additional ear-piercings. 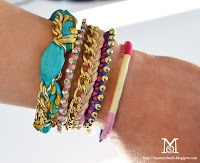 Sometimes we can use a vintage solution to wear a contemporary trend. 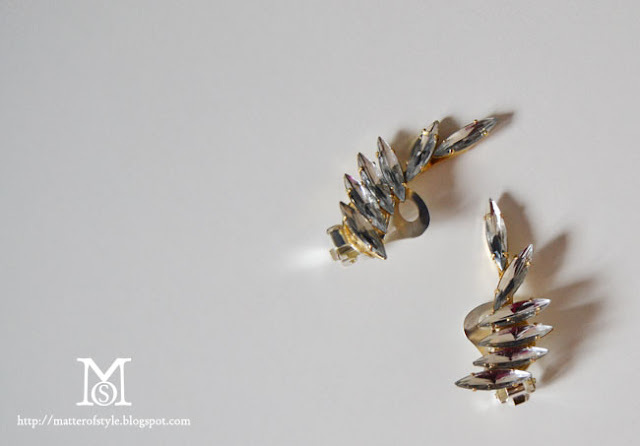 I used earring clips to transform these earrings into ear cuffs. They were popular in custom jewelry of the 80s. Even those who don't have a pierced lobe can wear earrings with clips and this feature can be used to fasten the earring to any part of the ear. You can transform your earrings into ear cuffs in 1 minute and I found 3 ways to wear them. 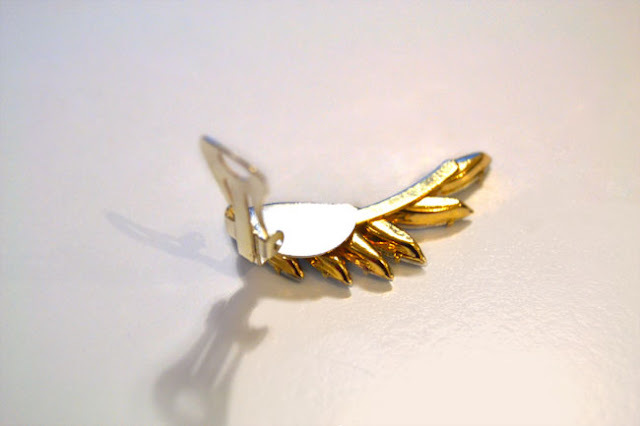 Negli ultimi anni abbiamo visto diffondersi la moda degli ear cuff, orecchini che salgono lungo il lobo e decorano tutto l'orecchio. La forma innovativa dell'ornamento richiede soluzioni nuove per fissarlo, altri fori o una sagoma da agganciare dietro l'orecchio. A volte però sfruttando delle soluzioni conosciute possiamo inventare nuovi modi di indossare degli orecchini che abbiamo già. 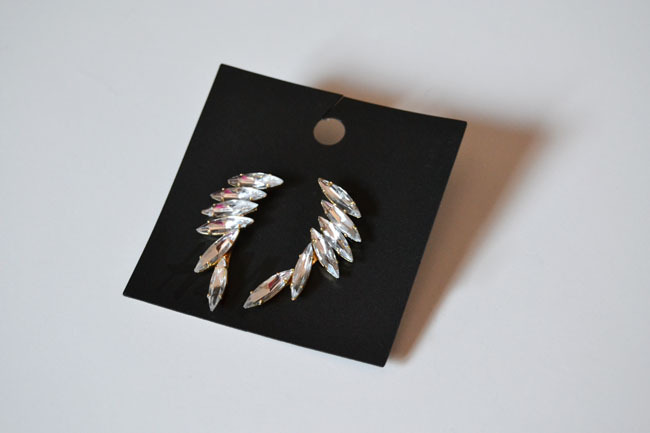 Ho usato delle clip per traformare questi orecchini in ear cuffs . Anche chi non ha i lobi forati può indossare gli orecchini con le clip e questa caratteristica può essere utilizzata anche per agganciare gli orecchini in punti diversi dell'orecchio. Colla, due clip e gli orecchini si trasformano in ear cuff in un minuto non di più! Ho ritagliato una parte della clip per renderla invisibile. 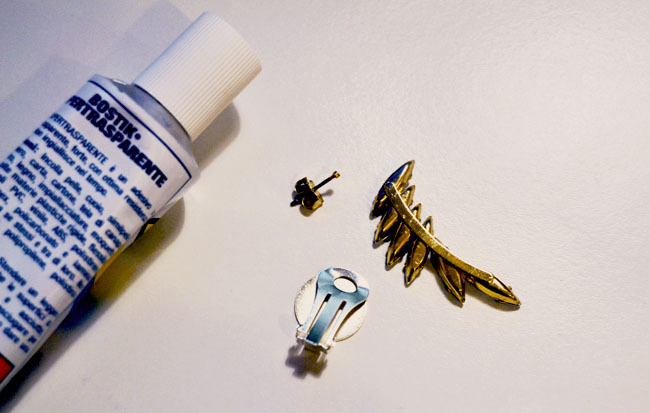 And glued the clip on the back of the earring. Ho incollato la clip sul retro dell'orecchino. Really good idea. Ear cuffs are really popular on my blog and clip-on clips are available everywhere. 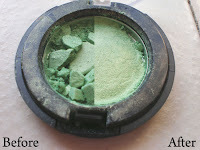 Posted two finished photos and a link back to you on truebluemeandyou. I was looking for ear cuffs for a long time but couldn't find a pair I liked....now I can make my own, thanks! Ooh - clip on earrings, have to get me some of these! MOS you haven't done a shoe DIY for awhile... please tell me you've got one in the works? Great idea! they look awesome!